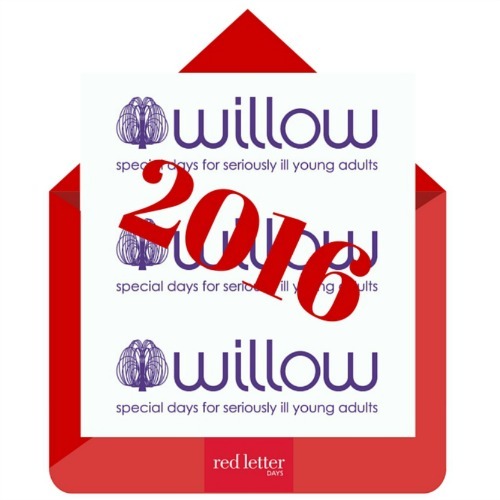 Red Letter Days is counting down to our annual Willow Week which starts tomorrow, in support of longstanding charity partner, Willow. You can get involved by buying one of our experiences in the famous red box and for every box sold, we shall donate £1 to Willow. What is Willow Week 2016? Tuesday 26th April – Tuesday 3rd May is our official Willow Week for 2016, now in its 5th year. We’ll be donating £1 to Willow for every red box we sell this week. We always give you a choice of packaging, and envelopes and eVouchers ARE still available. But the red boxes are the stars this week so please consider this gifting option to join in with our cause. What makes it all worthwhile? Seeing the results! Help us to make Willow Week 2016 as big a success as in previous years, by visiting our website and buying an experience in our famous red box!